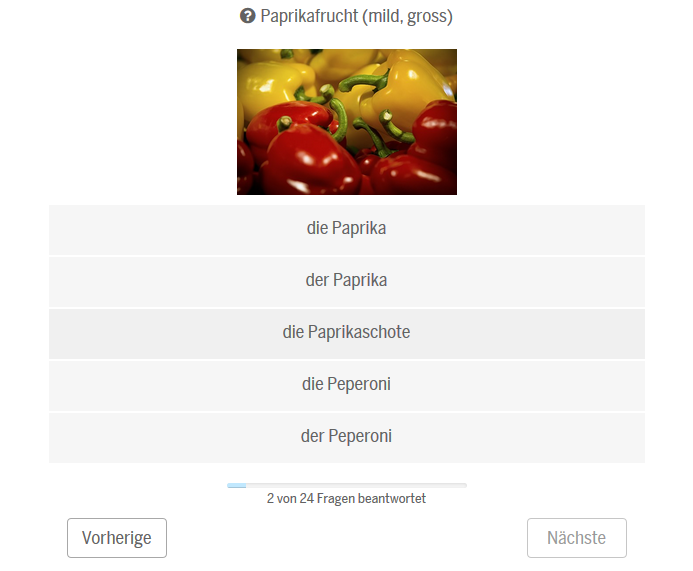 Inspired by the hugely successful New York Times dialect quiz, our team at Tages-Anzeiger, consisting of me and Marc Brupbacher, teamed up with language scientist Dr. Adrian Leemann (back then conducting research at the University of Zurich) to launch a similar application for the German-speaking region. Dr. Leemann provided the data and I was responsible for coding the frontend. I mainly used AngularJS, and LeafletJS for the map. Our quiz was very similar to the NYT one: The user has to answer 25 questions on how certain words are spoken out in his region (I was baffled to learn that there exist more than 20 different ways of saying that you have the hiccups). Based on the answer, a probabilistic model calculated the most likely cities of residence, and based on that, a form of a heatmap shows the likely region of residence. On the result screen, the user was also able to rate his personal prediction and to share the results via Twitter. The answers from the feedback form are now an invaluable data basis for new research conducted by Dr. Leemann. Fortunately, we found a worthy partner in Spiegel Online for publishing the project. This allowed us to reach a huge audience: In the first 2-3 days, we had over 1.5 million unique visitors. To me, this project is a very good example on how journalists and scientists can launch awesome applications together and profit from each other – journalists get interesting and new data sets and scientists have a platform to publish their research which would otherwise remain in the academic domain. I came here via Spiegel Online – really great work! Is there an API or any other possibility to reuse the data (for educational purposes)? Danke! Regarding the API/Open Data: Not yet, unfortunately. We are discussing this at the moment, for updates follow @srfdata and/or @grssnbchr on Twitter.